In many cases trusting your instinct is the best thing you can do, and an Alberta resident can easily testify in favor of this argument. 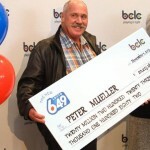 An occasional Lotto 649 player, he was on his way to purchasing a lottery ticket when he had a change of heart and decided not to make the detour. He thought that it was acceptable to pass on for one time, given the fact that his busy schedule didn’t allow him to stop at the convenience store. It was his wife who urged him to spare those few minutes necessary for buying tickets that proved decisive as he became a millionaire later that day. 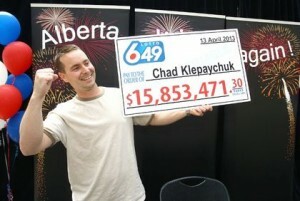 Chad Klepaychuk doesn’t consider himself a hard-core lottery player, but he occasionally purchases tickets just to keep his dream alive. 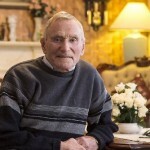 Although the odds of winning are remote, this remains his best chance of becoming a millionaire and his family could easily spare a few dollars every month. 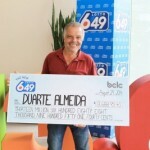 On that fateful day, he was driving to his brother’s house, determined to stop somewhere on the route and buy a Lotto 649 ticket. If his wife wasn’t with him, it is very likely that Chad would’ve missed out on the opportunity in his attempt of reaching his destination sooner. The wife proved to be persuasive and convinced him that the effort was minimal and potential benefits tremendous. He bought five quick picks on April 13 and hours later he watched in disbelief how one of his tickets made him a millionaire. 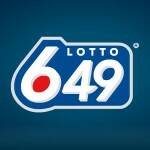 Three other players shared the Lotto 649 jackpot worth $64.5 million, which means that Chad and his wife got almost $16 million. This draw also set a new record for the Canadian lottery, proving once again that the superstitions revolving around the number 13 are baseless. Most lottery winners can barely wait until the next morning to claim their prizes, and they don’t mind the media attention they get. Chad decided that time is on his side and waited for a few weeks before claiming the money, because he and his wife wanted to get used to the idea of being millionaires. This approach has the benefit of diverting media attention and allows winners to think twice about how they intend to handle this new found wealth. Now that they are certain about their good fortune, they have all the time in the world to spend the money in a meaningful yet pleasant way. Among the plans they’ve made for the foreseeable future is to travel to a warm country and to spend the harsh Canadian winter in a lush tropical paradise. Buying a condo on the ocean isn’t a far-fetched project and with almost $16 million in their bank account, they can well afford it. Check out the Record Powerball jackpot won by Florida resident! as well. 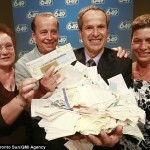 Retired Car Mechanic Crowned the Newest Lotto 649 Jackpot Winner Taking Home $13.7 Million!